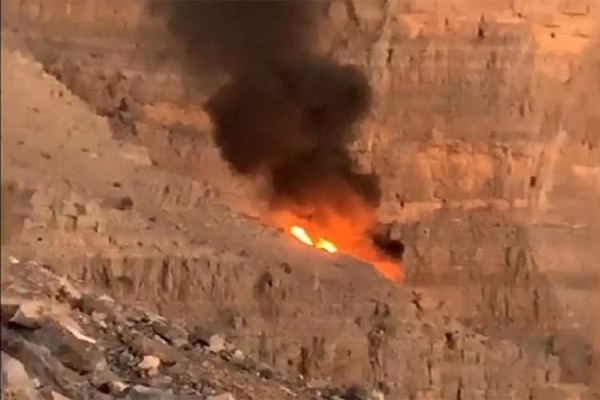 The General Civil Aviation Authority (GCAA) has announced the crash of Agusta 139 helicopter during a rescue mission next to Jais Mountain in Ras Al Khaimah leading to the death of all its four crew members. The crash took place at about 5.50pm on Saturday, reported state news agency WAM. The National Search and Rescue Center, which immediately began a search operation, found the debris and later confimed the death of all the crew members. The deceased victims were identified as Pilot Saqr Saeed Mohamed Abdullah Al Yamahi, Pilot Hameed Mohamed Obaid AlZa'abi, Navigator Jasim Abdullah Ali Tunaiji and First Aid Man Mark Roxburgh, said the report. Soon after the crash, HH Sheikh Saud bin Saqr Al Qasimi, Supreme Council Member and Ruler of Ras Al Khaimah, ordered an immediate investigation into the incident. Sheikh Saud has also ordered a comprehensive probe into the safety and security arrangements and measures followed in the incident venue to identify the causes behind the crash, it added.